There are many different traditional funeral service options available to families who select burial as the final disposition for their loved one. A traditional service may include a viewing or a visitation prior to the actual funeral service. The visitation can take place the evening before the funeral, just prior to the funeral service, or at both times. A visitation is an option, however it is not required. You may choose an arrangement that does not include a viewing, such as a closed casket funeral or direct burial. Following the funeral service, friends and family usually drive to the cemetery in procession. The deceased may then be interred in the cemetery or entombed in a mausoleum following the committal service. At the Ludwick Funeral Homes, Inc., we offer the finest selection of caskets, burial vaults, and clothing available in the funeral industry today. These items can be customized to meet your personal tastes and needs. 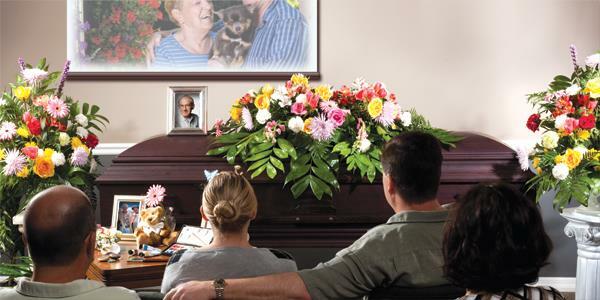 Through the use of memory tables, picture boards, photo collages, and Memorial DVD’s, funerals can be personalized to remember and honor the life of a loved one. We have the ability in our funeral homes to have live music played during the viewing or visitation and service. We also assist in arranging for dove releases, the rendering of military honors, horse drawn funerals, balloon releases, and other Signature Services to help make the funeral or memorial service more meaningful. This nighttime public viewing period provides an opportunity for friends and family to gather together to mourn, comfort each other and remember a life, which was lived well. 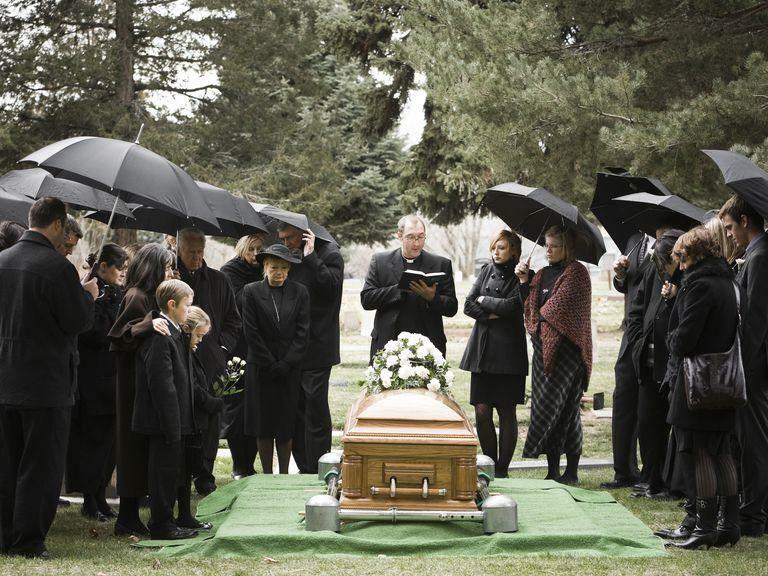 A funeral service the following day, whether in a church or the funeral home, with the body present can be personalized to reflect the life and interests of the decedent, as well as their impact on the lives of others. The funeral service is normally followed by a procession to the cemetery and a graveside service for the final interment. This option provides for a public visitation time followed by the funeral service either in the church, funeral home, or other location, with the body present. After a procession to the cemetery, the decedent is properly interred with a graveside service at the cemetery. A meaningful way to have private family time and a public ceremony, this option allows the family to privately mourn for their loved one, and to limit the size of the graveside ceremony. The family will often follow the graveside committal ceremony with a public memorial service at the funeral home, church or another location. In cases where the family does not wish to have the funeral ceremony in the funeral home or place of worship, a burial can be performed with a graveside service to honor their loved one. This service can be as elaborate or as simple as the family chooses. A direct or immediate burial of the body, in a sealed casket or container, has no formal ceremony.